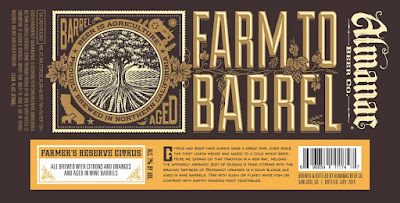 We've long been fans of Northern California's Almanac Beer Co. – both their unique farm-to-barrel sour program and elevated packaging design stand out as some of the market's best in class. We had the opportunity to do a brief interview in 2013 with CEO and Designer, Damian Fagan. Earlier that year they began distributing to Southern California. They quickly realized that their sour portfolio was not only in high demand, but also the heart and soul of their operation. 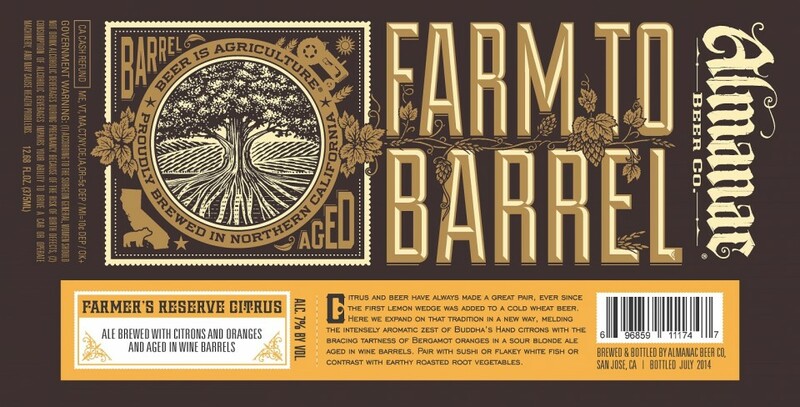 After two years focused on developing and growing their barrel program (now over 800 barrels deep) they announced distribution into Colorado, New York City and Chicagoland. 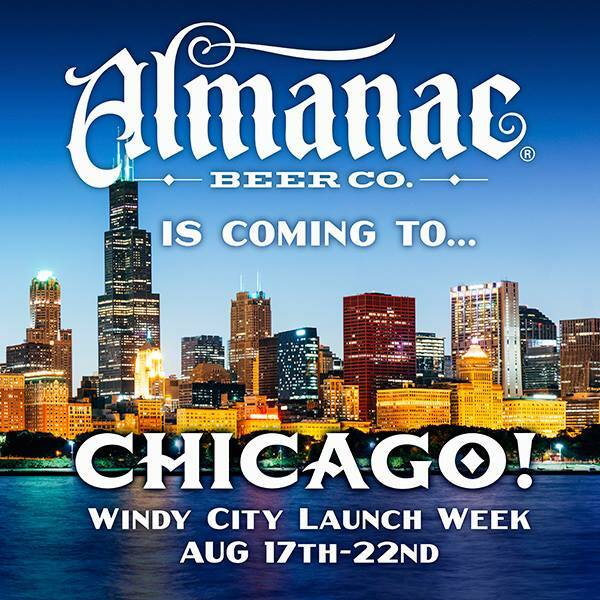 Through Wirtz Beverage distribution Chicago will have access to Almanac's full portfolio of beers, including the Fresh Beer, Fresh Beer Limited Series and Farm to Barrel (Farmer's Reserve) Series. Below is a list of the official launch events for the week of August 17-22nd. 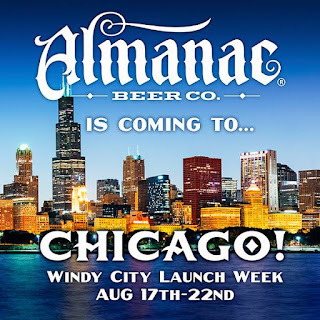 Chicago will have opportunities to meet the folks behind Almanac and sample a range of beers in collaboration with some of the city's best craft beer venues. We hope to see you there! All nine available Almanac beers featured: Saison Dolores, Golden Gate Gose, IPA, Emperor Norton, Farmers Reserve Pluot, Farmers Reserve Strawberry, Farmers Reserve Blackberry, Farmers Reserve Citrus, and Dogpatch Sour.